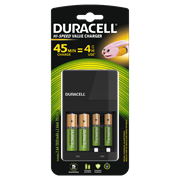 Duracell is the world’s leading manufacturer of high performance alkaline batteries, specialty cells and rechargeable batteries. Since its foundation in the early 1940s, Duracell has become an iconic personal power brand, trusted for compact and longer-lasting batteries. Duracell is a firm favourite amongst Supreme customers.